(San Francisco, CA) Growing up with three older brothers in Chicago’s Lincoln Park, Stand Up Founder and “Queen Pee” Sara Grossman always felt she was an inconvenience to her family the second she needed to find a restroom during car trips. While Sara was instructed to go to the bathroom right before they left, her brothers had easy. And thus, the idea for the Stand Up™ trickled forth. As the years continued, Grossman admitted to herself she just wasn’t good at peeing on the go. One disgusting toilet seat after another, her squatting game had never improved. She figured she wasn’t the only one. The Stand Up™ is a peeing accessory—Grossman stresses it is not a device (devices are utilitarian instruments; accessories are expressions of choice [and fun! ])—that women can use to keep their distance from the mess, anytime, anywhere. Cue Lollapalooza. 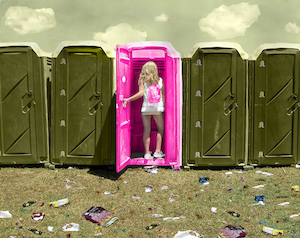 As concert-goers know, nothing compares to the nastiness of a public toilet at a summer outdoor music festival. The Stand Up™ is the perfect solution: a disposable, biodegradable, clutch-purse-fittable, pocket-slippable peeing accessory. Made of neon pink, gloss-finished cardstock, The Stand Up™ fits right in with the cute contents of a purse, and liquids slide right off its surface. High-resolution photos available for download here (please note credit Read Me). The Stand Up™ is available for purchase at www.the-stand-up.com. Stand Ups are packaged in convenient, ready-to-“go” sizes: The Purse Pack ($6), The Festival Pack (3 Purse Packs for $16) and The Super Woman Pack (6 Purse Packs for $30). Order by July 28, 2014 to receive in time for Lollapalooza (August 1-3, 2014). The purpose of the Stand Up™ is not to emulate men, but rather to give women a choice. In those moments when you’d rather not, now you can not. Sara grew up in Chicago and remembers to say, “Midwest the best” and “Let’s make some Illi-Noise” whenever she discusses her hometown. After 18 years spent in brutal winter, she moved to California for crop tops, organic toothpaste, and Stanford, where her mother warned her she would stay, and which statement she foolishly denied. An English major with an emphasis in creative writing, she happily typed her way through essays and short stories for her school work, while writing scripts and acting for comedy shows in her free time. After graduation, she made a quick comeback tour through Chicago to work in the First Lady’s department on the Obama for America 2012 Campaign, where she wrote briefs 99% of days, and drove in her motorcade one day. Now, she resides in San Francisco, along with every other person who underestimated the power of his or her mother’s prediction that once you move to California, you stay in California. (If you like it). (Which she did). (Does). 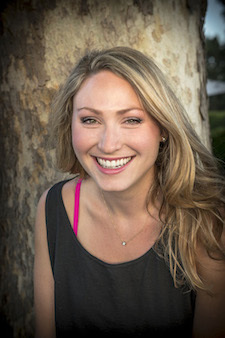 She began working on the Stand Up™ in 2013, and launched in 2014. Folded: a triangle with a base of 4 inches and a height of 4.5 inches. Unfolded: a kite-shape with the widest point at 4 inches and a height of 6 inches.